Free Unit study on some countries on the Continent of Africa. This study includes inspiring information on a variety of different countries in AFRICA including Culture, Food and Geography. Short biographical studies of famous people who made a difference in African countries. More than just geography lessons. This study was designed to produce thought provoking questions about the culture, regional differences and world interaction. This page will focus on a very BROAD overview of the continents features with links to the few countries we will explore. Honestly I would LOVE to explore the entire continent and all 50 plus countries but at this time we can't..however, there is a wonderful resource at TeachersPayTeachers.com of a complete unit study of all the countries. We just might have to pick it up for summer learning. This unit study will focus on several different countries as they relate to our history lessons. Many resources will be included to help you with additional country studies! As of 1993, African people used more than 800 languages and regional varieties of a language, or dialects. Africa is a continent - filled with many different countries. We are going to explore several. 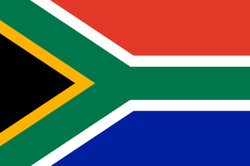 The national flag was designed by a former South African State Herald, Mr Fred Brownell, and was first used on 27 April 1994. The design and colours are a synopsis of principal elements of the country’s flag history. Individual colors, or color combinations represent different meanings for different people and therefore no universal symbolism should be attached to any of the colors. South Africa is renowned for its wines and is one of the world's largest producers of gold. South Africa has the strongest economy in Africa, and is an influential player in African politics. South Africa is one of the most unequal countries in the world where opulence and severe poverty can often be observed together. The rural part of South Africa remains among the poorest and the least developed parts of the world and poverty in the townships can be appalling, progress is being made. 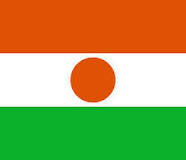 Niger is a former French colony which was granted independence in 1960. 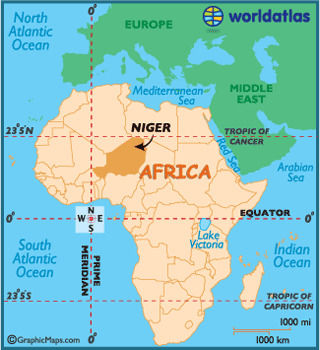 Niger is a vast landlocked country with an estimated population of 15 million, the majority of whom live along a narrow band of arable land on the country’s southern border. Families make their living with agriculture. Drought has left many struggling. The land is mostly desert plains and dunes, with rolling savanna in the southeast. Here's a link to team of homeschooling educators who have already created a complete unit study with hands on activities and free printable for this country. African Slave Trade history lesson.